Daniel Reid was born in 1948 in San Francisco and spent his childhood in East Africa. 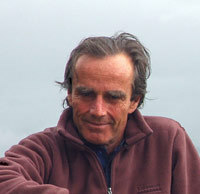 After completing a Bachelor of Arts degree in East Asian Studies at the University of California, Berkeley in 1970, and a Masters of Arts degree in Chinese Language and Civilization at the Monterey Institute of International Studies in 1973, Reid moved to Taiwan, where he spent 16 years studying and writing about various aspects of traditional Chinese culture, focusing particularly on Chinese medicine and ancient Taoist health and longevity systems. In 1989, he relocated to Chiang Mai, Thailand, where he continued his research and writing until 1999, when he immigrated with his wife Snow to the Byron Bay region of Australia, where he now makes his home. He describes the principles that lie at the heart of tea culture in China, the potent medicinal properties of Chinese tea, and how to cultivate Cha Dao, the Daoist way of tea, in daily life. A central section of the book explores for the first time the alchemy of Chinese tea, an esoteric aspect of Chinese tea culture that remains unexplored by modern science but was known and cultivated in ancient China. Jin Dan, the `golden elixir of life' is the elusive essence that resides dormant within tea (as in some other plants and minerals) and can be extracted, activated and transferred to the human system to protect health, prolong life, and enhance mental performance. 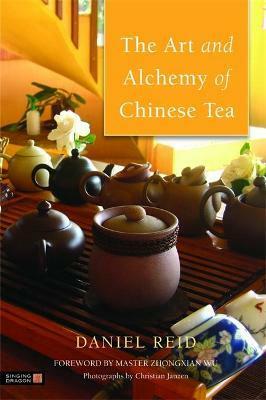 The author looks at how and why this works, and explains the chemical transformations that take place as well as explaining the energetic transfer that takes place when tea is prepared by a Master. Illustrated with many photographs, by Christan Janzen, the book contains detailed descriptions of many Chinese tea varieties, especially the High Mountain Oolong Tea of Taiwan, which is considered by many to be the pinnacle of perfection in both the art and alchemy of Chinese tea. The book also contains entertaining tea anecdotes from the author's 'Tea Tidings' bulletin, and a useful glossary of Chinese tea terms. Tea lovers, as well as those with an interest in tea culture, the Dao, and Chinese history and culture, will find this book an absorbing and revelatory read.